Persons in the know said Future Group was looking at stores with a size of 1,200 sq ft and 2,000 sq ft for the convenience store. On the radar were malls, corporate parks, hospitals and colleges, where footfalls were high. Some of the existing locations of SHME Food Brands would also be converted into 7-Eleven stores. Apart from fresh food, 7-Eleven stores in Mumbai would also have snacks and confectionary and would stock some of the food brands of Future Consumer, the fast-moving consumer goods arm of the group. 7-Eleven had said last month that it would support Future Retail in implementing and localising its business model in the country. As part of the first phase, internationally popular products and recipes developed for local tastes would be available in stores in India, Ken Wakabayashi, senior vice-president and head of international at 7-Eleven, had said. The convenience store chain, which is headquartered in the US, but has Japanese ownership, is expected to go head-to-head with local names such as DMart and Reliance Smart at one end and competitors such as 24Seven and In & Out at the other end. While 24Seven is promoted by Modi Enterprises, In & Out is owned and operated by BPCL. Worldwide, convenience stores typically stock a range of products, including alcohol and cigarettes. Many of them are attached to petrol pumps and stations to help consumers stock up on both fuel and essentials at the same time. 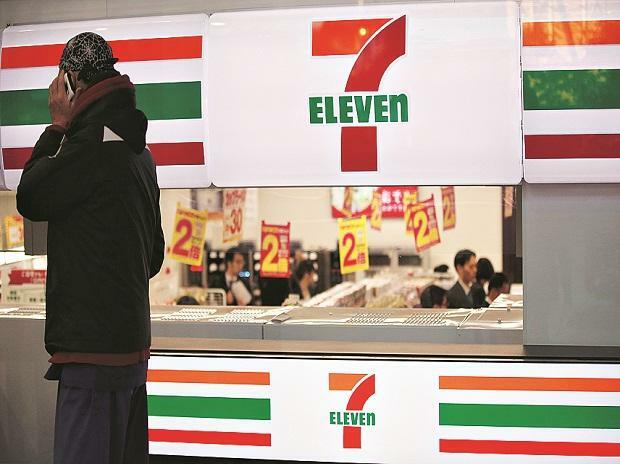 Abneesh Roy, senior vice-president, research (institutional equities), Edelweiss, said the franchise deal with 7-Eleven would give Future Retail an additional revenue basket. “Products of Future Consumer will also have a wider and larger touch point, which will benefit the group,” he said. Roy also said the small-retail environment in India, including kiranas and corner shops could get modernised with the entry of 7-Eleven, which has over 67,000 stores worldwide. India is the 18th market for 7-Eleven, which has bulk of its stores in North America.